Mayonnaise, a condiment that has been sparking controversy and fear into the hearts of many since sliced bread. I know that mayo is a divisive topic for many, but I want to focus on one element that is front and center. Like my post about balsamic vinaigrette, mayo only has about 5 ingredients in it, but any trip to your local grocery store and a review of the label on a jar of mayo tells a different story. So, if you want to bring mayo back, why not take a shot and make at home? Besides, you know exactly what is in it, you can save yourself a little money to make it at home, and you can season it as you wish. Yes, I went Princess of the Bride. I couldn’t resist! Wait, did I just say you can season mayo to your liking? Yes, and I don’t just mean olive oil infused mayo. I am talking about adding garlic, paprika, rosemary, sage, chives, dill… the list goes on! How awesome is that? Can you imagine a steak sandwich with rosemary mayo? Perhaps a basil and oregano mayo that you use to crust a piece of fish? By they way, a little mayo can go a long way, we aren’t talking about more than a couple of tablespoons to get what you need. 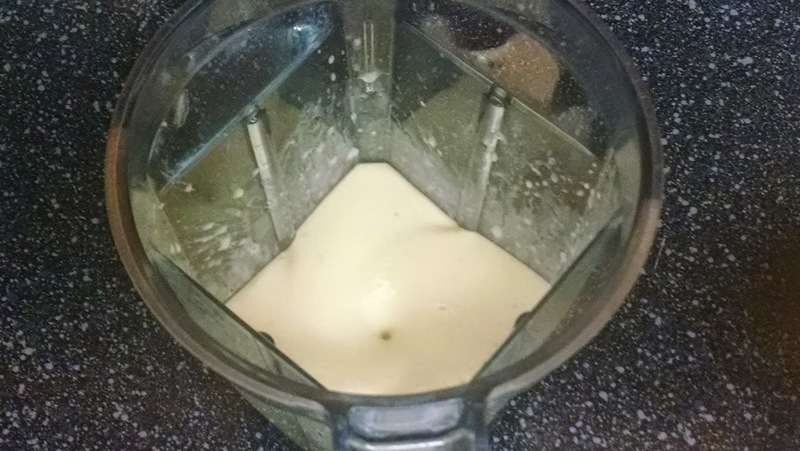 Alright, at the time of me composing this post, I haven’t attempted to make homemade mayo before. So, I will be able to provide some feedback that will helpful for anyone who gives this a go. **A little disclosure up front: this recipe does call for room temperature eggs. Before you panic, let me share two things to help ease your discomfort. First, because of the way eggs are treated in parts of Europe most consumers can leave their eggs out on the counter as they don’t require refrigeration. Second, leaving an egg on the counter for 45 minutes or so doesn’t pose any health threats. Now, if you leave it on the counter for a few hours, take it outside and let it bake in the hot sun, and then move it to the freezer before letting it come to room temperature to complete the cooking, then, yes, you will have a reason to be concerned. However, if you have any shred of doubt, then grab some pasteurized eggs from your local store and use that instead and the pasteurized eggs will take care of any remaining concerns. Ready? In the words of my brother, “eggscellent!” Let’s do this! Here is the original recipe at the link below. I have already made a few changes which I have put in italics. In a blender or food processor, blend together the egg, lemon juice, mustard, fine sea salt, and freshly ground white or black pepper, blending until well combined. With the motor still running, add the oil in a very slow, thin, steady stream and blend until the dressing is thick and smooth. This will take about 5 minutes. Put this is a mason jar and it will hold in the fridge for up to two weeks. Yes, homemade mayonnaise in just under 5 minutes! As simple as it can be. The texture was perfect and as promised it was thick, rich, and creamy. Now, the recipe uses a little Dijon mustard which provides a little spice and helps emulsify the mayo. You can totally taste it, but it isn’t overwhelming at all. There is it, homemade mayo. Good, right? No? Okay, lets step this up shall we? I had a little trouble embedding the link I wanted directly into the blog. So, here is ta link that will take you to my YouTube channel with a video of the mayo adventure. For the record, I ended up making two batches of this lovely mayo, which is why I added a bit of garlic and thyme to the second batch. Needless to say, I won’t need mayo anytime soon, plus in less time it takes to get in the car, drive to the store, buy the mayo, and get home I could have made 4 or 5 variations. Hope you find great ways to make this your own.